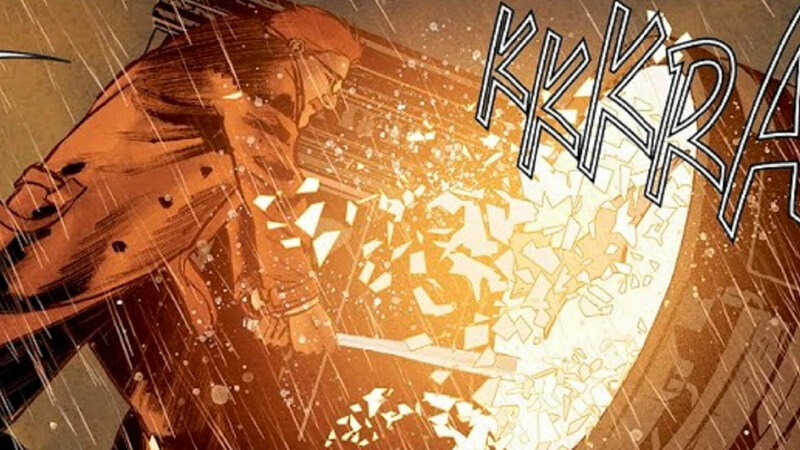 Tom King’s Dark Knight saga takes a big turn in Batman #60 (written by Tom King with art by Mikel Janin and Jorge Fornes)! Batman is interrogating every criminal he can find, hoping someone will corroborate Penguin’s story about Bane. But there are no bites. Seeing his former ally unravel, Commissioner Gordon loses his patience and takes a baseball bat to the Bat-Signal. As exciting as all this is, nothing can prepare Batman or the readers for the shock on the final page, when the true employer is finally revealed! 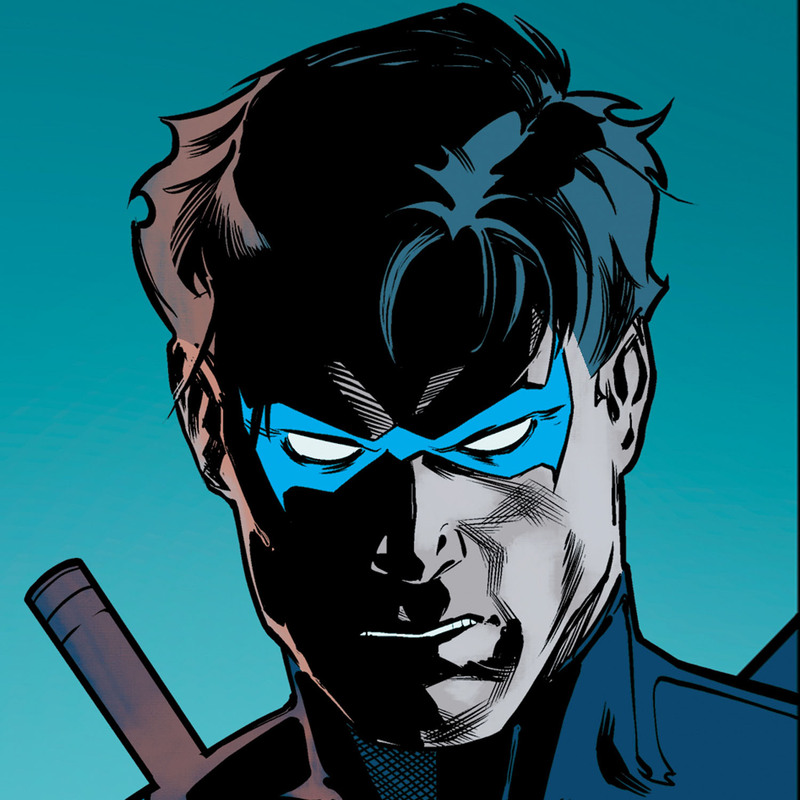 Ric Grayson continues to embrace his new life, while letting Detective Sapienza take over his old one in Nightwing #54 (written by Scott Lobdell with Fabian Nicieza, art by Garry Brown and Will Conrad). Sapienza and his group of rogue cops continue their costumed crusade as Nightwing, but things quickly get out of hand as they become reckless, leaving people critically injured. Unfortunately for Bludhaven, Ric isn’t any closer to reclaiming the mantle. After a series of therapy sessions with Dr. Gruidae (secretly the Scarecrow), Ric is more determined to leave his old life behind and begin building new roots. His relationship with Bea deepens, and the two share a kiss. Don’t get too comfortable Ric, it looks like the Scarecrow has special plans for you! Robin and Superboy continue their cosmic quest in Adventures of the Super Sons #5 (written by Peter J. Tomasi and penciled by Carlo Barberi). Trapped on a mysterious planet by a pair of aliens, Jon and Damian lose their perception of reality as their captors probe their minds. The boys think they’re seeing older versions of themselves, but realize they're only psychic constructs….which they soon use to their advantage. The alien technology allows the boys to bring their older mental constructs to life, and the foursome team up to take down the aliens. This story is a fun one, with homages to everything from the Batman slapping meme to Kingdom Come. Gotham may be returning on January 3rd, but in you're in the New York area you don’t have to wait to watch the season premiere! 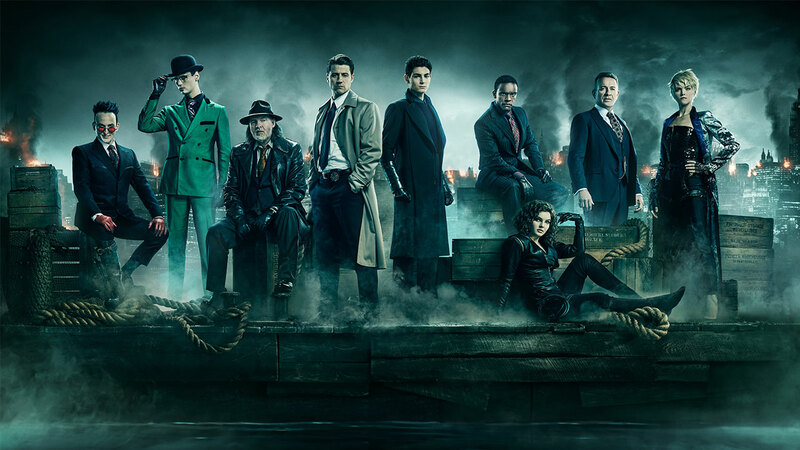 The Paley Center in New York City will be hosting a premiere for Gotham’s final season on Wednesday, December 12th. Following the screening, the cast and producers will participate in an audience question-and-answer session! Of course Gotham isn't the only place to see a live-action Gotham City on TV these days. After all these years, the Arrowverse will finally take a trip to Gotham City! The "Elseworlds" crossover, featuring the live-action debut of Ruby Rose as Batwoman, debuts December 9th, 10th and the 11th on Arrow, The Flash, and Supergirl. If you’re still looking for live-action Batman fun, then we have some great news for you. The Tim Burton and Joel Schumacher Bat movies are now back on DC Universe and available to stream. Catch some big Bat-nostalgia with Batman, the holiday-themed Batman Returns, and Batman Forever, as well as Batman & Robin. These films contatin more than their share of iconic moments. Why not treat yourself to a binge watch this weekend? 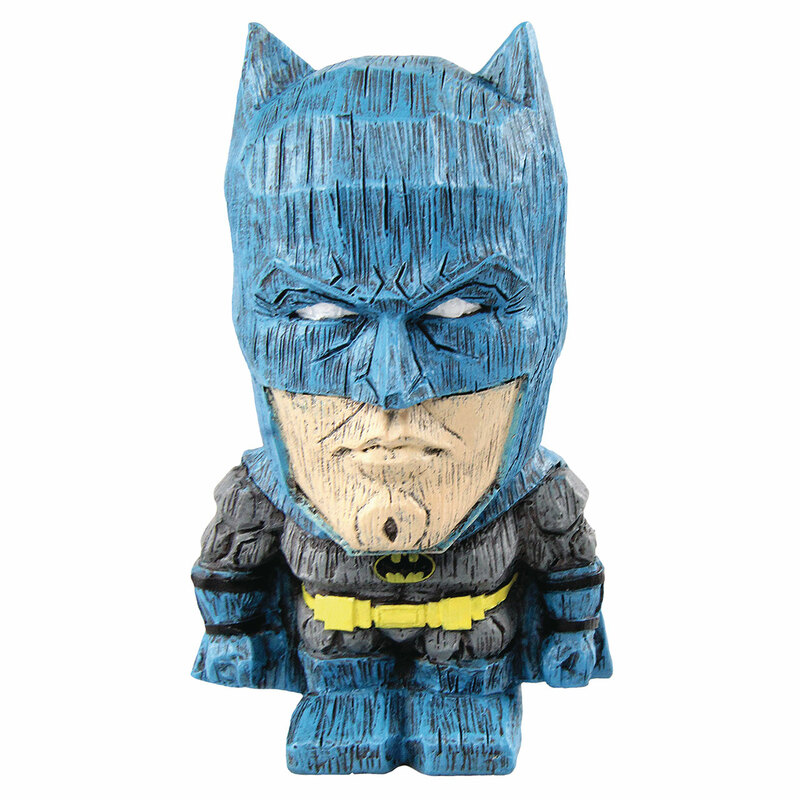 If you’re a collector of Eekeez, you now have two Batman figurines to choose from. Forever Collectibles has released a figurine modeled after the classic comic Batsuit (pictured above), and another based on the Justice League movie's Batman! If your shelf is looking full, and you’re running out of space for your collectibles, these guys are only four inches tall and can fit most anywhere. 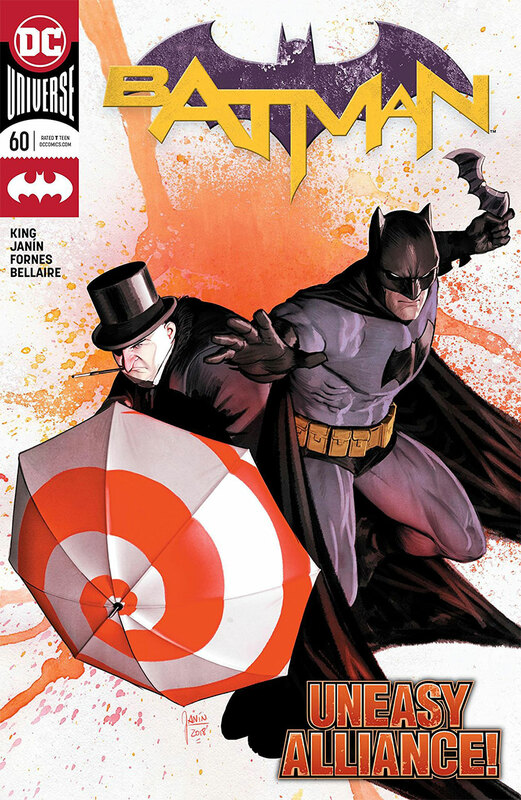 NEXT WEEK: Batman investigates a murder designed to mimic the night his parents died in Detective Comics #994; Alfred is pushed to his breaking point in Batman Annual #3; the Dark Knight teams up with Etrigan in Batman: Damned #2, and a familiar face from the Metal crossover returns in Batman Who Laughs #1. Next week looks like it’ll be an intense one for the Caped Crusader, and you won’t want to miss it. Head back here to see how it all goes down. Same Bat-time, Same Bat-channel! What was your favorite Batman news this week? Let us know on our Community!